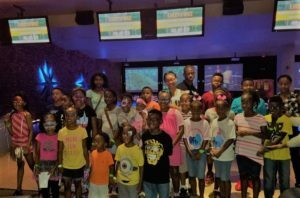 The National Harbor Chapter creates programming in support of nurturing our children and the children in our community through cultural experiences in the Prince Georges’ County and surrounding Washington, DC Metro area. We are organized in five children’s groups (below), based on age/grade levels, and plan activities that support appropriate learning, exposure and entertainment for each group. Our activities are aim to meet the following additional initiatives as set by the national organization: cultural, social, recreational, legislative, and community service.